It is true that some herbal supplements and vitamins out there on the market aren’t worth the price of their packaging and some are actually dangerous to your health there are many others proven to be great tools that can be used to increase health and fitness. It’s never a bad idea to check with your physician, a reputable nutritionist, or you can even consult your local health food store for information on what may be the best combination of supplements for your body. Sleep has been proven time and again to affect your health which then affects fitness as most people will not exercise and take care of nutritional needs if they are chronically tired. Sleep really does affect your health status. Recent sleep studies indicate that as a nation we are very sleep deprived which contributes to increased car wrecks due to micro-napping or distraction as well as irritability affecting all those around you. If you are not getting the proper amount of sleep, you will notice it in a visceral and very physical way. Generally experts recommend six to eight hours a night for most people although adolescents tend to sleep much more than that amount. Not all stress is a bad thing. Some stress occurs during all your daily life activities and cannot be totally eliminated however you are in control of how negative stress affects you and your health and fitness levels. No doubt you’ve heard all this before but it is important to begin implementing a program to reduce stress. Take 5 minute breaks throughout the day to deep breathe or take a short walk. Remind yourself of the things you can control and try to coach yourself into letting go of all the things which are not in your control. Laughter truly can be the best medicine for you. Laughter produces positive endorphins and “feel good” chemicals in the brain and body. It stimulates the lymph system which releases excess fluids from the body. Watch your favorite funny movies or listen to a laugh machine which can be obtained at most joke or party stores. Strange as it sounds you can hardly keep from laughing when listening to even canned laughter. Attend comedy shows and theater events based on comedy or light hearted story lines. Spend time with family and friends who make you laugh which will help you put stressful times in perspective and just generally make you feel wonderful! 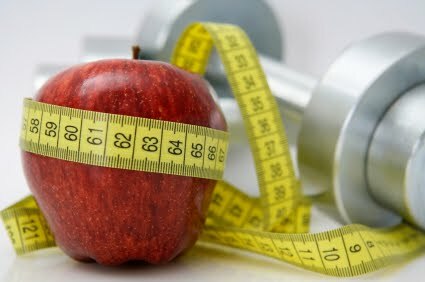 Making some simple changes can positively impact your health and fitness state of being. It’s not hard to make small adjustments and just think how much better your daily life will be when you are feeling at your best!